The Supreme Court special bench of Justice J Chelameswar and Justice AM Sapre on Tuesday heard a writ petition filed by NGO Jheel Sanrakshan Samiti (JSS) regarding the construction of a five-star hotel by Mumbai-based developers Vardha Enterprises on the island situated in the middle of Udaisagar Lake in Udaipur. 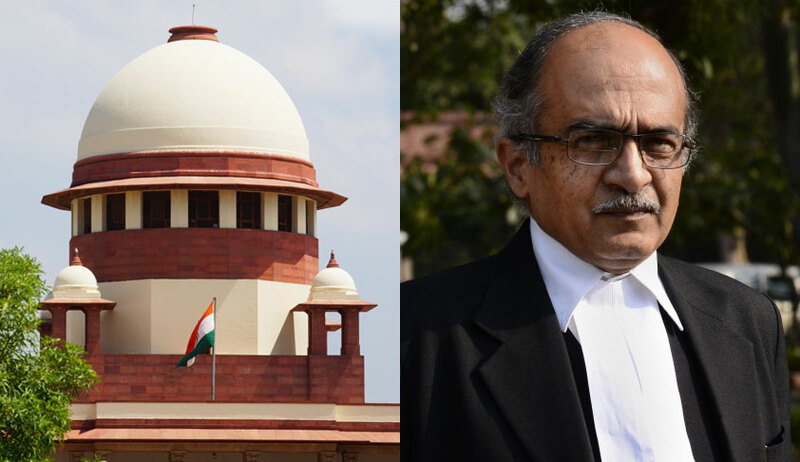 Advocate Prashant Bhushan, appearing on behalf of JSS, submitted before the apex court that the petitioner’s grievance arose not from the construction of the hotel structure per se, but from the ancillary development works undertaken subsequently. A boundary wall, 13 feet in height and 1 metre in width, has been erected all along the periphery of the plot of the island, being 8.15 hectares in area. In addition, there have been constructions on the lake bed and the patwari plot. There has been an encroachment to the extent of 0.31 hectares on the government-owned land on the plot of the island. Also, there has been filing of land with extraneous materials to elevate the agricultural land above Highest Flood Level (HFL). The advocate contended that the respondent company had initially purported to the Urban Improvement Trust, Udaipur, the aggregate area of the hotel project to be 18,800 sqm, exempting themselves from the prerequisites of conducting an Environment Impact Assessment (EIA) and obtaining Environmental Clearances (EC) under the Environment Protection Act of 1986 and the Rajasthan Lakes (Protection and Development) Authority Act of 2015. Now on account of the subsequent constructions in respect of which approval was not obtained, the gross area of the project exceeds 20,000 sqm, necessitating the procurement of the said ECs as per the EIA Notification of 2006. Bhushan further referred to the order dated February 8 of the Supreme Court in the matter of MK Balakrishnan & Ors vs Union of India & Ors [w.p. (c) 230/2001], insofar as it mandated the application of Rule 4 of the Wetland (Conservation and Management) Rules of 2010 to over 2 lakh wetlands mapped by the Government of India, of which Udaisagar Lake is one. The said Rule regulates, inter alia, the establishment and expansion of industries on a wetland, the construction of any works of a permanent nature and any other activity that may have an adverse effect on the wetland, subject to the requirement of approval from the statutory authority under the Rules, the concerned state government and local authorities. “Let Vardha seek post facto EC for the subsequent constructions, but if EC is denied then they shall be responsible for this mess,” Bhushan remarked. Bhushan argued that of the total area of 8.15 hectares of agricultural land purchased by the respondent in 2008, the construction was approved in respect of only 2 hectares. “If the boundary wall had to be erected, it should have constructed within those 2 hectares so that the aggregate area of the project did not exceed 20,000 sqm,” said the advocate. In addition, he questioned the validity of the construction of 4 jetties for transport cargo, passenger traffic etc. The counsel also expressed displeasure at the proposed plan of the respondent company to convert the ‘kachcha raasta’ leading to the hotel to an all-weather road rising above the HFL. Bhushan placed before the bench a report dated July 4 of an expert committee constituted by the Ministry of Environment, Forest Affairs and Climate Change on the adverse ramifications of the boundary wall, hindering the interface between land and water, the jetties and the road proposed to be constructed on the ecosystem of Udaisagar Lake. Bhushan requested the top court to direct the demolition of the said boundary wall and cargo jetty, to restrain the construction of the all-weather road, to mandate compliance with the Construction and Demolition Waste Management Rules of 2016, the Solid Waste Management Rules of 2016 and the air and water pollution enactments, and to prevent interference with the use by local population of the lake resources. The matter is next listed for further hearing on January 23.